A Complete Budget Travel guide to French Pass and D’Urville Island. It doesn’t get more “off the beaten path” in the Marlborough region of New Zealand than French Pass and D’Urville Island. The peninsula winding its way out to an isolated island with real whirlpools in between is certainly a wild and remote part of New Zealand that, if travelled to, rewards you with epic uncrowded scenery. How you can experience this pristine land for yourself, find out in this complete guide to French Pass and D’Urville Island. Because of its remoteness, French Pass and D’Urville Island is not exactly the easiest to access – having your own transport is advantageous. Nevertheless, the journey from Okiwi Bay to this northern peninsula atop the South Island is an experience in itself! Not only will you be forced to stop for photos among the expansive coastal scenery, but you will get plenty of opportunity to meet the locals in fishing boats and water taxis to D’Urville Island. Despite being close to fierce tidal flows (check out about the whirlpools in the guide), life on D’Urville Island couldn’t be more relaxed. Do a spot of fishing, relax in a hot tub, go bird watching, go for a stroll through the forest or amp it up with mountain biking and hiking. Make the time on the island yours. 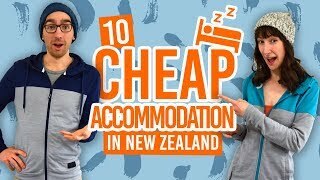 What’s more, it can all be done on a backpacker budget! Because of the remoteness of French Pass and D’Urville Island, it’s worth going over how to actually get to French Pass and D’Urville Island. It’s not quite as easy as typing it into the GPS and go. First, you need to make your way to Okiwi Bay. Take State Highway 6 between Havelock (55 minutes to Okiwi Bay) and Nelson (1h15mins to Okiwi Bay). Take the road to the Rai Valley and follow the winding sealed road to Okiwi Bay (about 30 minutes). From Okiwi Bay, take the unsealed Croisilles-French Pass Road for about an hour until you reach the end. To get to D’Urville Island from the small French Pass township, take a water taxi (will need to be booked – see below). Note: if you are renting a vehicle, check whether your insurance covers unsealed roads. Be aware that there are no gas stations or services between Okiwi Bay and D’Urville Island. There are no public buses running to Okiwi Bay. Alternatively, hire a car from Nelson or Picton, take Sounds Magic Eco Tours mail run (Ph. 0275716049) which goes between Rai Valley – Okiwi Bay – French Pass, or try your luck at hitchhinking. 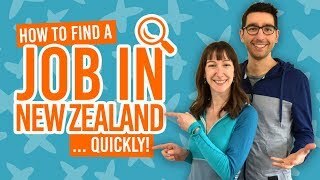 Check out Hitchhiking in New Zealand. To get to D’Urville Island, book a water taxi. There are a number of water taxi services running between French Pass and D’Urville Island. This is your chance to see where tides collide to create rushing whirlpools! The easy one way track to this viewpoint also has an information panel about the French explorer, D’Urville’s, historic passing through the French Pass. There is also a well-marked track to a beautiful beach. The walk is well marked off the French Pass Road – just look out for the Department of Conservation sign. Another short walk, this time from the French Pass Campground, takes you to a great vantage point overlooking the French Pass township and bay. You can also read about the famous dolphin, Pelorus Jack. Starting from the signpost behind the d’Urville Island Wilderness Resort, Kiangawari Bay, take the track beneath a giant kahikatea tree. By day, the track is alive with the sound of bellbirds. By night, hear the calls of the native owl, the morepork, and see glowworms along the mossy track. At the end of the trail leads to a small but picture-worthy waterfall. Best done at low or mid-tide. From Kiangawari Bay follow the “Waterfall” and “Scenic Reserve” signposts to the track entrance. The first part of the track follows a tea tree grove. After the Kiangawari School Track branches off to the right (see below for track details), the Coastal Forest Track hugs the coastline to a section of mature coastal forest. Enjoy the native forest on your way to a waterfall where the track ends. Return the same way. Access is via the Coastal Track (see above). The track is clearly signposted from the road, so if you are able to get a lift or take the Ridgline Circuit Track first (see below), it is possible to just walk one way downhill. Otherwise, it is a strenuous climb up the track to some wonderful vantage points across D’Urville Island. As the name suggests, this track was once used by school children going to and from a schoolhouse in Kiangawari Bay. The track can be slippery after rain. For a full-day hike, take the Ridgeline Circuit Track starting behind the Wilderness Resort (signposted). Take a steady climb to 700m above sea level through luxuriant rainforest to some stunning island views. Follow the trail markers as the trail can be difficult to see. Once you emerge onto the Kapowai-Patuki Road, turn left towards Kapowai for some more incredible views overlooking Greville Harbour and Catherine Cove. Return down the Kiangawari School Track (see details above). One of the top activities in D’Urville Island is to hop on a boat catch some lunch or dinner. Fishing charters can take you out on the water to catch blue cod, kingfish, snapper and groper. No matter what your ability is, you’re bound to catch something in these life-filled waters. Check out Fishing in New Zealand. There are also opportunities to hire kayaks for a lazy paddle on the water, as well as charters to check out marine wildlife like seals and dolphins. D’Urville Island is also famous for its superb dive sites for experience and qualified divers. Tour operators can also take you hunting for deer. Due to hunting licenses, it’s likely that you will need to be accompanied by a tour operator rather than hunting along. Find out more at Hunting in New Zealand. Finally, keen mountain bikers with their own bikes can bring them aboard the water taxi and take advantage of the roads and trails around the island. Ask your host for more information. Where to stay in French Pass and D’urville Island?